We have all heard that high-stress levels are not good for our health. But why? How does chronic stress affect your fertility and the health of your pregnancy? When people are faced with a stressor, they move into their sympathetic nervous system or fight or flight. The chronic effects of stress on a woman can negatively affect conception, pregnancy, and birth and release cortisol and catecholamines. 1. Cortisol is released during very stressful situations. It creates a fight or flight reaction by releasing large amounts of glucose and lowering insulin. If as a result of stress, a woman is overweight or insulin resistant, her fertility is affected because increased body fat changes hormone levels. This can disrupt ovulation and the luteal phase of her menstrual cycle. 2. Chronic elevations in epinephrine can result in hypertensive disease. A woman has an increased risk for pre-eclampsia, placenta abruption, poor fetal growth and maternal stroke when she enters pregnancy with high blood pressure. 3. The parasympathetic system is where we make love and make babies. Chronic fight or flight is a hormonal imbalanced and unnatural place to conceive and sometimes it does not happen at all. That is the origin of the advice to just “relax” when you are trying to get pregnant and then you will conceive. 4. Making an emotionally healthy baby starts with creating an intrauterine environment that is full of love (flooding Oxytocin, the love hormone and endorphins into our bloodstream) and avoiding exposure to frequent high levels of adrenaline that result from chronic stress. Avoiding chronic stress is easier said than done. Especially if high stress is the way a woman lives her life. Her responses to life’s difficulties will need to be re-programmed and new coping mechanisms developed. Start lowering your stress level by identifying your biggest sources of stress and start making changes toward a healthier body, mind and spirit! 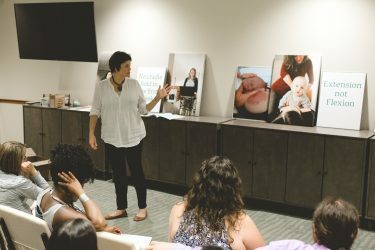 If you want to learn more about preparing for a healthy pregnancy and baby, we invite you to participate in our next How to Make a Baby program. Register here or email conception@midwivesofnj.com for more information. Trying to Conceive? What to do BEFORE Getting Pregnant!